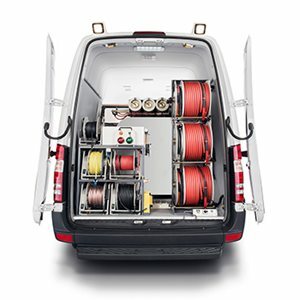 With the new Variant series, Megger provides a fully equipped measuring station for all VDE-compliant cable testing and fault location on PVC, PE, VPE and paper-insulated cables in the voltage range up to 33 kV. Heavy extension reels come installed so they can be easily extended. Electronic components are in place so that testing and calibration can be easily performed from the control room.